Private Lessons are available with any of our qualified instructors. is Certified Rated in Group Instruction. She has coached skaters at Regionals and Adult Nationals, and has had skaters pass tests through the Senior Moves in the Field and Novice Free Skate levels. Shari is not currently accepting new students of her own, but team teaches with our other coaches. Jeanine received her amateur credentials through the Canadian Figure Skating Association. She is a member of PSA, ISI and USFS, with professional credentials from PSA and Skateisi. Jeanine takes great pride and joy in developing skaters and understands it is a privilege to be a mentor on and off the ice. 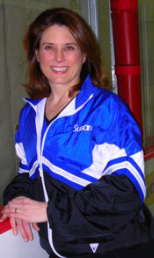 She has more than 25 years of teaching experience, working with beginners through adults in Freestyle, beginner through Senior in Moves, and Power Skating and Edges for both figure skaters and hockey players. ​Susan first began skating at The River's Edge in 1995 at the age of 37. 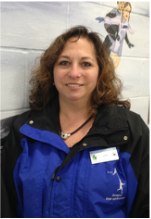 Susan teaches private lessons and Learn to Skate USA classes at The River's Edge, specializing in adults and beginning ice dance. She is a registered coach with U.S. Figure Skating and a member of the Professional Skaters Association, earning her Registered Ice Dance Instructor rating in 2014. She has served for many years on the board of the Figure Skating Club of the Quad Cities, and was named to the USFS Adult Committee as an athlete member in 2018. She is a professional musician, who teaches clarinet at Augustana College and holds a teaching certificate from the State of Illinois for music education, grades K-12. With partner David Bakke, she was the 2016 Adult Bronze Ice Dance Champion. ​Ferelith Senjem is a registered U.S. Figure Skating coach. She is a member of the Professional Skaters Association and earned her Registered ratings in Moves in the Field and Free Skating in 2018. She has taught in Basic Skills and Homeschool programs since 2008. She learned to skate as an adult, and has been an Adult Nationals competitor. She has taken students through the Junior Moves in the Field and Preliminary dance tests. She has coached students in non-qualifying events at the Regional Championships. She loves skating, and continually strives to learn more about the sport. ​Tori Tebbitt began skating at the age of 4 at The River's Edge (then the Quad City Sports Center), adding training in pair skating when she was 7. At the age of 10, she and her partner competed in New York at the U.S. Junior National Championships. She has completed the Junior Moves in the Field, Junior Free Skating, and Juvenile Pair tests. Tori attended St. Ambrose University, where she ran Cross Country and Track & Field, and majored in Marketing/Communications and Public Relations with a minor in Irish Studies. She started assisting with Learn to Skate classes when she was 15, and has been teaching her own classes since she was 17. She is a member of the Professional Skaters Association. Tori is a certified Personal Trainer through the International Sports Science Association, focusing on strength training to help athletes with endurance, control, and injury prevention. ​Katherine (Schwaegler) Womack began her training at The River's Edge (then the Quad City Sports Center) in 1995 at the age of 5. She is a registered U.S. 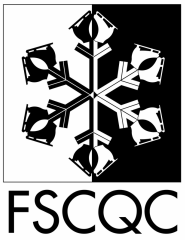 Figure Skating coach and a member of the Professional Skaters Association, and has earned her Basic Accreditation rating. Katherine is a Quadruple Gold Medalist, having completed the Senior tests in Moves in the Field (including the Senior Supplemental Moves test) and Free Skating as well as Gold Solo Dance and Senior Solo Free Dance. Kate has a degree in Human Performance and Fitness from St. Ambrose University, where she was also a member of the dance team. ​In keeping with the standards of many youth sports organizations, schools and recreational programs in America today, U.S. Figure Skating has implemented coaching requirements, background screening and continuing education requirements to help ensure that we are providing a safe environment and protecting the welfare of all participants in U.S. Figure Skating-sanctioned activities. This will help give parents the highest degree of confidence that their children are not only receiving good care and proper instruction but are safe from improper conduct. Inquire at The River's Edge facility for coach/instructor contact information if not provided here.